James Brown performs on stage during the Live 8 concert at Murrayfield Stadium in Edinburgh, Scotland, in this July 6, 2005 file photo. In a three-part investigation by CNN published Tuesday, the news organization revealed interviews it has conducted with more than a dozen people who knew the late singer who say they want a criminal investigation into his death or would like the singer's body to be exhumed for an autopsy. 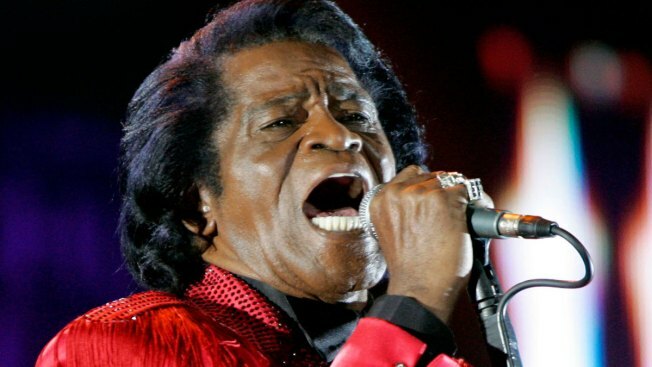 According to CNN In 2017, CNN senior writer Thomas Lake received a phone call from a woman who said she could prove that James Brown had been murdered. She contacted Lake because she’d read a 2009 Atlanta magazine story he wrote about the unsolved murder of Darren Lumar, a son-in-law of Brown. Lumar had also claimed that Brown was murdered. The phone call led to the reporter to a two-year investigation into the death of James Brown and the death of his third wife, Adrienne. CNN says Lake interviewed nearly 140 people for this series. He also examined tens of thousands of pages of documents, including court records, police reports, and text messages. One of the nearly 140 people interviewed by CNN piece was Dr. Marvin Crawford, the doctor who treated Brown at an Atlanta hospital prior to his death and the one who signed his death certificate. Crawford now says he too doubts Brown died of natural cause. Instead, he believes it was an overdose, but does not say if it may have been accidental or otherwise.